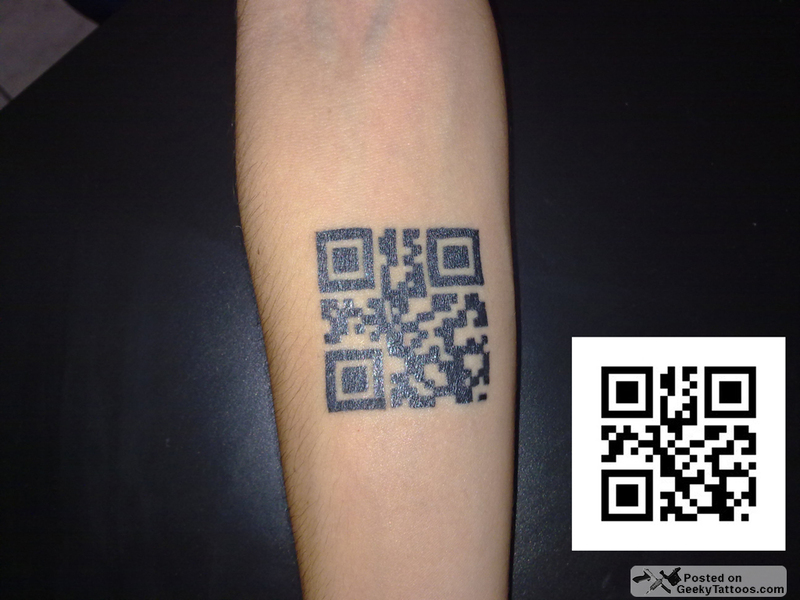 Jully writes to say that she thinks she might be the first person in Brazil to get a QR code tattoo. The code is the name of a song by Good Charlotte that was a part of her adolescence and helped her get through a rough time. Her tattooist was André from True Love Tattoo. 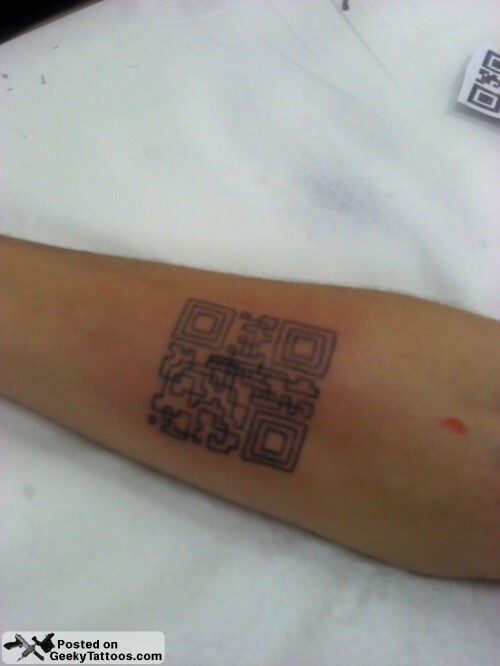 I really like the strategy he took for inking the QR code accurately on her arm. Tagged with arm, QR Code, True Love Tattoo. Hey Geeky's so glad see my tattoo here… Thank ya'll so much!!! 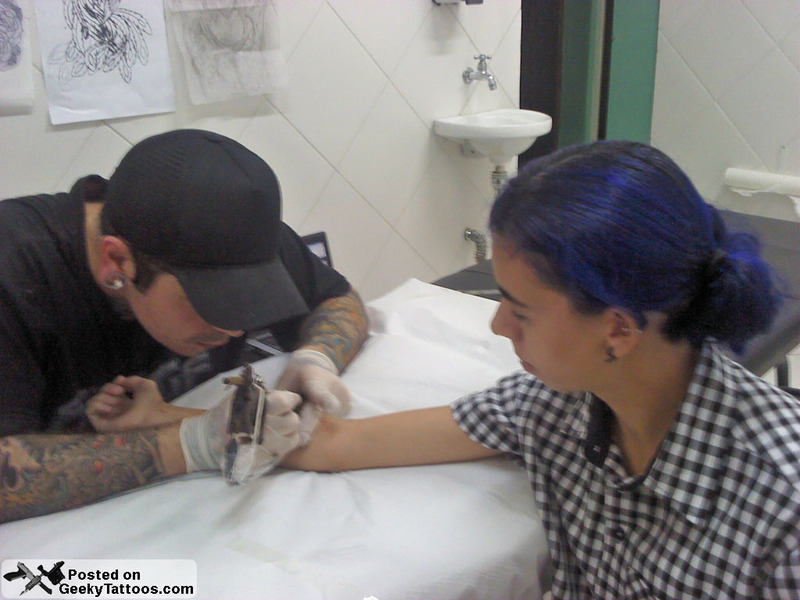 beautiful, love the tattoo … You are wonderful and made ​​a comeback. Incredible! ahhh valeu Bruninha, vc é demais!!! que isso! soh tava aloprando.. QR code é uma coisa tão antiga que eu nunca me preocupei se alguem tinha feito ou nao.. por isso que achei seu comentário engraçado! um nokia já leu ele .. mas não é fácil nao.. a mao não fica "reta" nunca. Mas tambem nunca me preocupei se algum dispositivo ia ler ou nao. Sempre fiz tatoo só pra mim mesmo, nao pros outros. rsrsrsr bom coisas que eles mesmo perguntaram, por isso eu disse! Conhece mais gente que tem? Pra eu ver fotos? If she was in Brazil, why was it in English? Sorry some of the spaces were missing, It says "hold on".